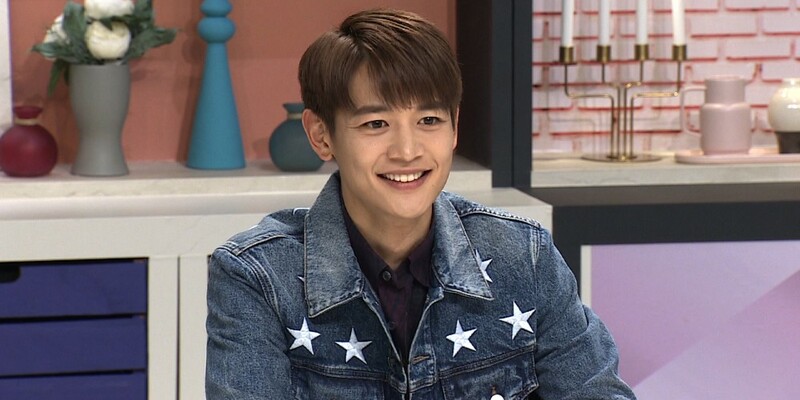 Minho revealed, "Coach Choi Yong Soo's younger brother was my gym teacher in high school. He has the same shooting/kicking action (as Choi Yong Soo). I thought it was the coach himself making the shot/kick." The MCs asked Choi Yong Soo, "Have you heard about Minho from your brother? Choi Yong Soo replied, "I heard he was very good at soccer. If he continued playing then he would've been outstanding in both looks and skills similar to Ahn Jung Hwan." To this, Minho shared, "I wanted to play soccer when I was young but my parents strongly opposed. My dad told me to leave the house." He continued, "I asked why he opposes me becoming a soccer player and my dad said, 'If you are as good as Son Heung Min�then I will allow you to play but you're not on that level. So my dad stopped me from becoming one."